The Freshers Braai is a big part of our annual calendar and this year was no different. The freshers were hyped up and ready for a good time! 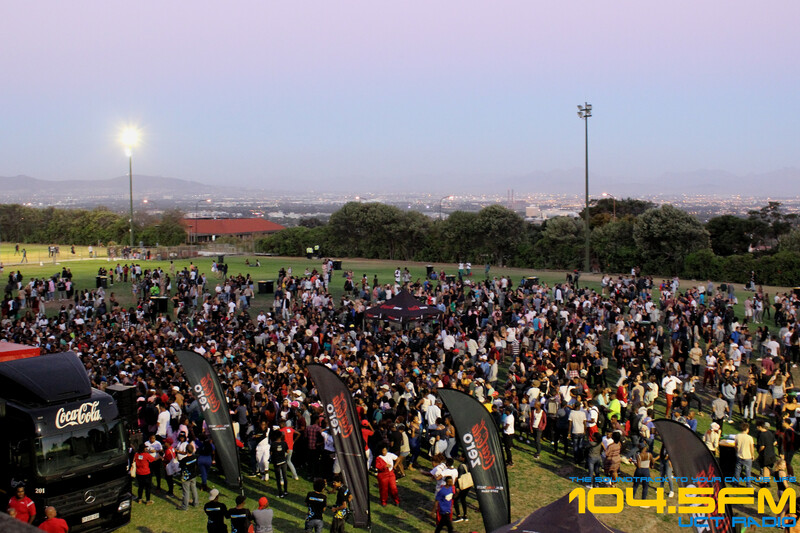 With UCT Radio hosting the event this year, we decided to change things up a bit this year. We decided to bring in some of our UCT Radio alumni to MC the event; and Khanya Siyengo, Kuhle Adams and Mark Fitzgibbon kept the fun going all night long! Fuelling off the high energy of the Orientation Leaders, the first years definitely got into the party spirit. The Stone Jets had an amazing performance; the crowd loved their music and danced along to every song! At UCT Radio we are well-aware that the struggle is real and all our prizes catered to that. We were worried that nobody would be brave enough to participate in our competitions but the freshers seemed to be game for anything! We gave away movie tickets to first years who could point out their crush in the crowd. And we couldn’t believe that they actually did it! We were able to give away a R300 petrol voucher for whoever could prove that they were the “brokest.” Our biggest giveaway was a R1000 music voucher which we picked from our Twitter hashtag #FreshersBraai17. These first years set the bar quite high for the 2018 freshers, but that’s next year’s worry! !